Preventoriums, tuberculosis, and the Colorado "cure"
A few months ago, my blogging buddy (and the founder of Inkwell Inspirations), Gina Welborn, asked me if I wanted to participate in a project: Writing a Christmas-themed novella for a collection of eight stories to be independently published as a group with seven other traditionally-published authors. I glanced at the list of writers involved and gasped. OF COURSE I wanted to be involved in a project with these ladies (which includes our own Jennifer Allee and Gina, too!). I plunged in with both feet, despite the fact I was in the middle of edits for my first contracted novella, Santiago Sol, and I don't generally write historical fiction. It must have been "meant to be," because I had the entire story written in less than a month, and these two characters have become dear to my heart. Sadie's Gift is set in 1921 Colorado Springs, Colorado. I have a soft spot for Colorado Springs because I was born there, as was my paternal grandfather. My heroine, Sadie Hubbard, is a nurse in a preventorium. What's a preventorium, you ask? During the last half of the 19th century, and into the first few decades of the 20th, tuberculosis—"the white plague"—was a health crisis in the U.S. and around the world. Commonly referred to at the time as consumption, tuberculosis infections had reached epidemic proportions in the 19th century, responsible for one in four deaths. A vaccine was not developed until the early 1900s, and wasn't in widespread use until the middle of the century. Tuberculosis, an airborne bacteria spread through breathing, coughing, sneezing, and spitting, was widely considered a disease of the poverty-stricken, and spread rapidly in crowded urban areas. The bacteria primarily affected the victim's lungs, and as the disease progressed, the sufferer was "consumed" by the ailment, experiencing extreme weight loss and weakness along with fever, chills, loss of appetite, and severe coughing fits. In its later stages, victims often coughed up blood, as lung tissue was destroyed by the bacteria. Gambler and gunslinger Doc Holliday, made famous by his participation in the battle at the OK Corral, was a victim of TB. He died in Glenwood Springs, Colorado, of the ailment in 1887. 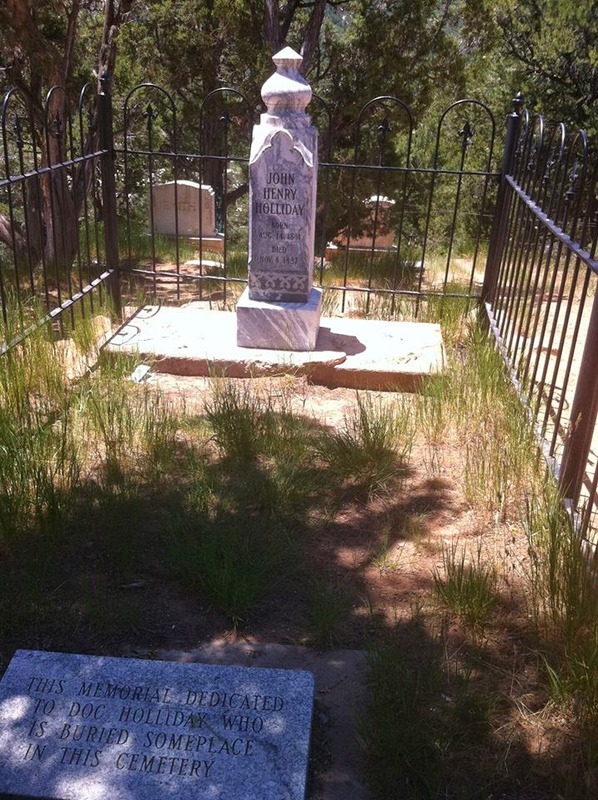 Doc Holliday's "grave" (no one knows for sure if this is actually where he was buried) is in the town where I grew up. Those afflicted with TB were often "sent West" for treatment, as doctors believed the drier climate was beneficial to the lungs. The establishment of private sanatoriums, where TB patients were housed to prevent the spread of the infection and in hopes of treating the disease through exposure to fresh air, sunlight, daily exercise, and healthy food, created an economic boom in cities like Colorado Springs. Sometimes the treatment worked, sometimes it didn't. Often, as is all too frequently the case, those with the most money received the best treatment and got the best results. Children who were exposed to the disease through contact with family members, but who hadn't succumbed to the illness, were sometimes moved to "preventoriums." As is evidenced by the name, the preventorium was a place where doctors and nurses hoped to prevent the progression of the disease by prescribing a strict regime of exercise, diet, and exposure to fresh air (even in the winter). In Sadie's Gift, nurse Sadie Hubbard wants to provide a "real" Christmas celebration for the children in her care in a Colorado Springs preventorium. On her way to a pawn shop to get money to buy gifts for the kids, she's nearly run down by Nathan Wells in his brother's Model T Ford. Nathan's brother has just died of consumption, and Nathan just wants to get his brother's prized car back to their parents' home, but his run-in with Sadie delays his plans. “I seem to have lost my Christmas spirit this year,” he snapped. After all that had happened to Matthew, Nathan didn’t even know if he believed in Christmas anymore. She twisted a corner of her napkin between taut fingers and he wished he could take back the words. His emotions were strung too tight, ready to snap at the slightest provocation. He should just leave the table. Leave the boardinghouse. Get on the train and get out of Colorado forever. Forget about Matthew’s wrecked car. But he couldn’t. He had to take the car back to his parents, leave it with them as a memorial to his brother. “What do you do for a living, Mr. Wells?” Sadie’s gentle voice cracked his mental whirlwind. He imagined she was a very competent nurse. Despite her personal discomfort, she was reaching out to him. He cleared his throat, feeling guilty. “I’m in… I was in finance. But my situation has changed, because of the economic troubles we’ve had since the war.” He felt heat in his face and neck. He had been one of the up-and-coming financiers in Chicago before everything crashed. Now he had an empty house in Chicago’s northwest neighbored. He’d sold all his fancy, decorator-inspired furniture to pay bills. He had no job, and no prospects for future employment. Depression rolled over him, threatening to suffocate him in hopelessness. Nathan fought to find his anger again, for that was the only thing keeping him afloat. Anger at his brother for getting sick, anger at the sanatorium for failing to save him, anger at this woman for thwarting his plans and for breaking open his wounds and peering inside his raw and exposed soul. He pushed his chair away from the table and almost didn’t hear her next words. He looked up, surprised. Why would she share such a thing with him? “My condolences,” he murmured. Sadie's Gift attempts to address the sorrow and grief of loss that can paralyze us and prevent us from seeing the blessings of God. 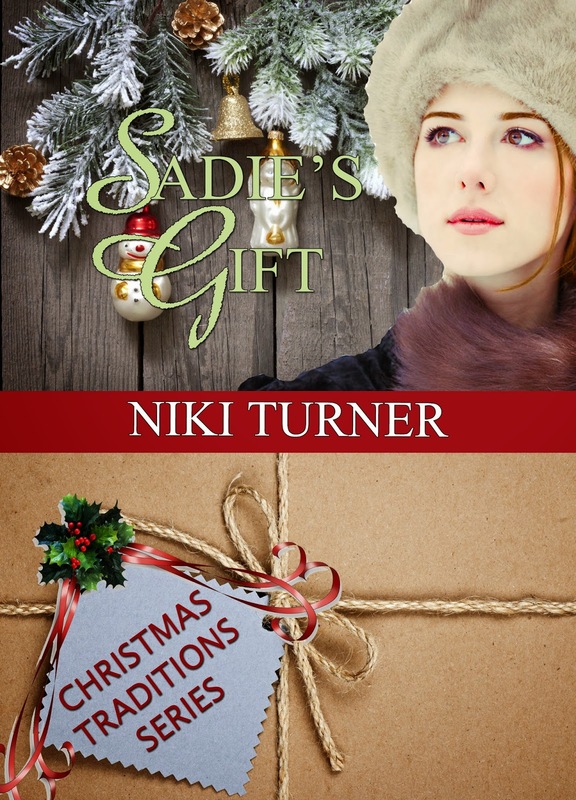 In the story, Sadie and Nathan have to come to terms with their own ways of dealing with their pain and its residual effects to find the true spirit of Christmas. I hope you enjoy the story, and all of the stories in the Christmas Traditions collection, which will be released between now and the end of October. Niki Turner is a novelist, journalist, blogger, and production manager for the Rio Blanco Herald Times in Meeker, Colorado. She lives on Colorado's Western Slope, blogs at www.nikiturner.net and is a co-blogger at www.inkwellinspirations.com. She is also the Colorado Coordinator for American Christian Fiction Writers. Her fiction blends the good news of God's love with come-as-you-are characters in stories that encourage and inspire. I enjoyed this story very much. Thanks, Niki! Thank YOU, DeAnna, for saving me the embarrassment of using a word that wasn't in existence in 1921! I remember being tested for TB in grade school. They'd swab our skin and then puncture us. A week or two later, they'd come back and we'd all have to show the our arm. Sometimes a kid would be sent out of the room and later we'd hear that he/she moved. In my research, I found a newspaper article that said the government in France originally believed that TB was a disease created from darkness and found in dark corners. So they moved people out of their houses, cleaned the houses, and then put in lots of windows, etc to let the light in. Once they had a neighborhood all 'lighted', they'd move new people in. By and by, they wondered why the new families in these 'lighted' houses were getting sick as well. Interesting stuff you read in early newspapers, eh. It was a very interesting time. I enjoyed all the "no spitting" signs... we look at them now and think they were just trying to legislate good manners, but in reality, they were trying to prevent the spread of the infection. Congratulations, dear Niki! I'd never heard of a preventorium--wow. What a story. Can't wait to read the novella! I hope you like it, Susie! I had never heard of a preventorium, either, until I started research for Sadie's Gift. Many of the ones back East were essentially medical orphanages. Very sad! I've heard of preventoriums but I didn't know you had this for the setting. There must have been quite a few sanitariums/preventoriums in the US in the first half of the century. My aunt was at a very famous one here in NY state at Saranac Lake. I guess the mountainous regions made for cleaner air. I wish you the best with Sadie's Gift and will be downloading mine in about five minutes! Oh thank you! And yes, there were TONS of sanitariums and preventoriums in the first half of the 1900s. 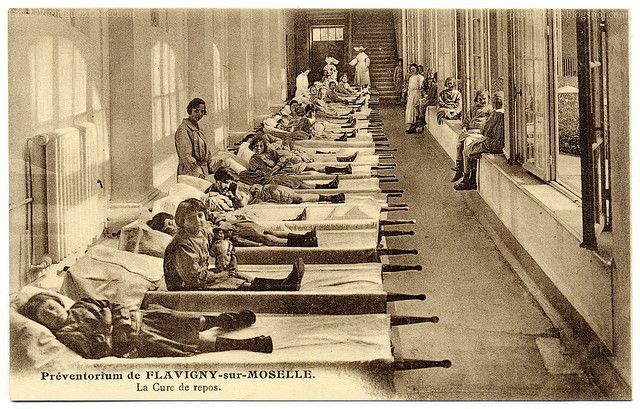 Not all of them were focused so much on treatment/prevention, some were just trying to quarantine the sick. TB is a nasty disease. "Tuberculosis kills more people in the world than any other infection. Each year about 9 million people are infected with TB and about 1.5 million die." That's today... and the incidence of TB in the U.S. has been increasing since 1995. Yucky. Congratulations, Niki So glad we all get to share in this exciting time for you. When we adopted our youngest (intercountry adoption), he had to pass a TB screening before he could get a visa to enter the US. Congratulations, Niki! I love the premise of this story. I downloaded it last night and love what I've read so far! Good news for Nook users - you can download a Kindle app for your Nook. That's what I do when a book is on Amazon but not B&N. Love, love this story. Congratulations, again! My Mom worked in TB sanitoriums in the late 50's early 60s but I hadn't heard of preventoriums.